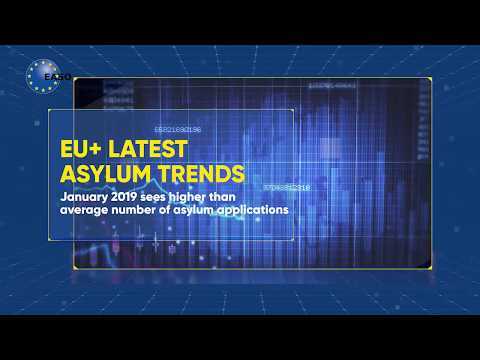 EASO has been developing an information technology tool to assist Greece (and Italy, if requested) with the ‘matching’ of applicants for international protection, and who are eligible for relocation in line with the procedures and criteria set out in the Council Decisions on Relocation1 . The matching of applicants eligible for relocation has as its objective the facilitation of the integration of applicants into a host society. The matching process, therefore, serves the interest of both the applicant and the Member State of Relocation. The matching process also minimises the risk of secondary movements following relocation. Since the matching procedure is a complex process involving several criteria and indicators simultaneously, especially when dealing with a high number of applicants for relocation, an automated matching tool is the optimal way to support the process. The matching tool also increases the transparency of the matching process and can enforce the trust of the Member States in the relocation process. The matching tool takes into account the registration data of the applicant, in particular, demonstrated family, cultural or social skills, language skills, professions, (particular) vulnerabilities, family composition and connected cases. The Greek asylum database has been slightly adjusted to capture all this information in a systematic way. Secondly, the matching tool factors in the characteristics and preferences of the Member States. The Member States have the possibility to express their preferences on language skills, relevance to a particular economic sector/s or any other preference as long as it facilitates integration and is not in contradiction with the principle of non-discrimination. For the matching of professional skills, it has been agreed to give Member States the possibility to indicate the economic sectors for which there is a shortage in the labour market, rather than indicating directly a preference for specific professions. This process is done to eliminate bias towards higher skilled professions, which in the end have a higher potential for integration in any of the Member States. Indicating, for example, the construction sector as a preference means that a match is possible with bricklayers, as well as engineers. Thirdly, the matching tool factors in the overall quota allocations of the Member States; the available pledges; and the history of the relocation process so far. Based on the relocation history, the matching tool is devised to ensure a fair distribution of vulnerable cases and an equal filling of the quota when new cases are being processed by the matching tool. ‘Particularly vulnerable applicants’ will be assigned the highest priority in the matching process. This category of applicants is composed of vulnerable applicants who are in a particularly difficult position. The matching tool will propose a match, but given the particular circumstances, an individual follow-up of these cases is necessary. The tool will highlight these cases in the result list, allowing a staff member to review the file and ensure, possibly with the assistance of the liaison officer, that the proposed Member State of Relocation can provide adequate support. All other vulnerable applicants will also be prioritised when a match has been found. The matching tool can only propose a match for Member States that have a pledge open at the time of the match. However, if there would be a better match with another Member State that has no pledge open, the matching tool will show this in the result list as a ‘hypothetical match’. In these cases, the administration can always decide if it is opportune to wait for that second Member State to make a new pledge available or to go ahead with the initially proposed match. The software proposes the best available Member State for the applicant’s relocation, based on objective criteria. The decision to accept or overrule the proposals, however, always rests with the Greek authorities’ jurisdiction.